Michael J. “Mike” Bandonis was born and raised in North Bend, Oregon, where he graduated from North Bend High School in 1973. He then attended the University of Oregon where he graduated with a Bachelor of Science degree in political science in the spring of 1977. After college, he attended the University of Oregon Law School where he graduated in May of 1980 with a Doctor of Jurisprudence degree. He passed the Oregon State Bar examination during the summer of 1980 and began practicing law in September. From 1980 through 1985, Mike worked for a general practice law firm in Coos Bay, Oregon, where he did trial work. 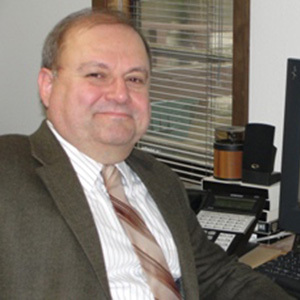 Since October of 1985, he has been with the firm in Newport, Oregon, concentrating on trial work in the areas of domestic relations and general civil litigation. He has appeared in Circuit Courts in several counties and argued cases before the Oregon Court of Appeals and the Oregon Supreme Court. He is a member of the Oregon State Bar, the Lincoln County Bar Association, the American Bar Association, the Oregon Trial Lawyers Association and American Association for Justice. Mike has served on the Executive Committee of the Family Law Section of the Oregon State Bar. He is also trained to serve as a mediator for cases on appeal to the Oregon Court of Appeals and the Oregon Supreme Court. Mike is divorced, with a daughter, Molly, who attends DePaul University in Chicago. Mike and Molly enjoy taking interesting summer vacations. Mike lives in Toledo, Oregon, where he spends time doing landscaping and improving his property. He is an avid follower of University of Oregon sports, having football season tickets for over 25 years. He also follows the Portland Trailblazers, the Seattle Mariners and the Seattle Seahawks. He attends Sacred Heart Church in Newport, Oregon, where he is a member of the Knights of Columbus. For recreation, he works out on a regular basis. Mike does everything possible to give his clients the best legal service available. His residence telephone number is listed in the phone book so that he can be reached at home. He often works nights and weekends in the service of his clients.